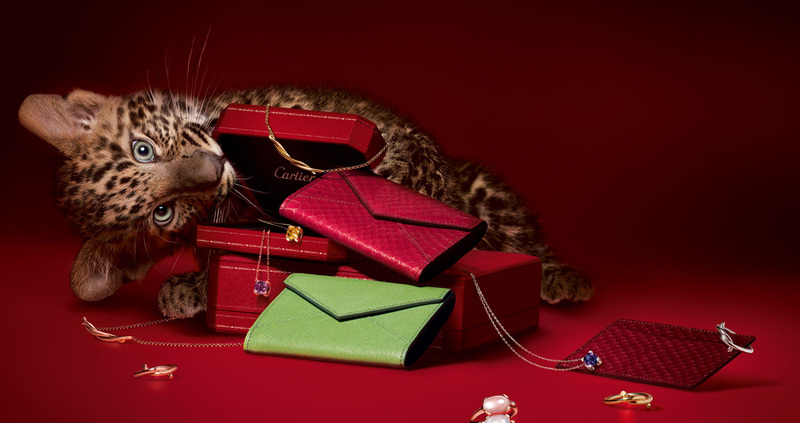 The women's Cartier Must 21 W10197U2 timepiece has three sub-dials for accuracy. The women’s luxurious timepiece, the Cartier Must 21 W10197U2, is a beautiful blend between function and style. With multiple time displays, this watch is as serious about keeping excellent, precise time as it is sleek and elegant— a winning combination. This Swiss Made watch keeps time with a Cartier Caliber 471 Swizz-quartz movement. It has Roman numeral hour markers engraved on its stationary stainless steel bezel and an inner ring showing Arabic minute markers in increments of five. 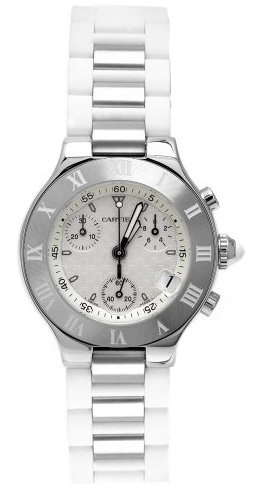 It sports a white dial printed with the Cartier double “C” motif and has a crown with cabochon white rubber. Crafted with durable scratch-resistant sapphire crystal, the case can withstand any nicks and dings life might throw at it. And with handy luminescent sword-shaped rhodium steel hands, this watch can display the time even in dimly lit places. And with 30-minute, 60-second, and 1/10th second sub-dials it displays an accurate, detailed time reading. And as an added benefit, with a magnified date window at 4 o’clock you’ll never have to ask someone for the date ever again. The Cartier Must 21 W10197U2 watch is unique because it combines materials that gives it an unique look that is both sporty and classy. Its case is made with brushed and polished steel while its bracelet is made with white rubber and stainless steel center links. And to ensure the protection of your watch, it is water-resistant up to 330 feet (or 100 meters), so it can shield splashes and shower water from harming your watch. For all of its convenient features, functions, and fashion, this watch is a bit hard to read. Because the watch face is a bit busy with its sub-dials, date window, and separate minute and hour markers, it can be challenging knowing where to look for the time. This watch, then, is not the best if you’re hoping to have a timepiece that provides a simple, at-a-glance reading of the time. With that in consideration, if you are in the market for a watch that gives you a more detailed reading than your average timepiece and is versatile enough to match casual and business wear, then the Cartier Must 21 Steel W10197U2 is a great buy for you. It is beautiful, comes with many perks, is durable, and gives a very detailed description of the time. I am looking for a new or used W10197U2 (mint condition). Where can I buy one?